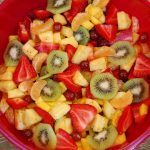 Tropical fruit salad with honey lime dressing is the perfect side salad or dessert on a hot summer’s day! HONEY LIME DRESSING: Zest 2 mandarin oranges, 1 lemon and 1 lime. Cut each fruit in half and squeeze the juice into a measuring cup. (You should get about 1/2 cup juice). Add the zest, honey, ginger and poppy seeds to juice mixture whisk until combined. Cover and place in the refrigerator until ready to use. FRUIT SALAD: Peel and section the remaining 10 oranges into a large bowl. Add sliced strawberries and kiwi. 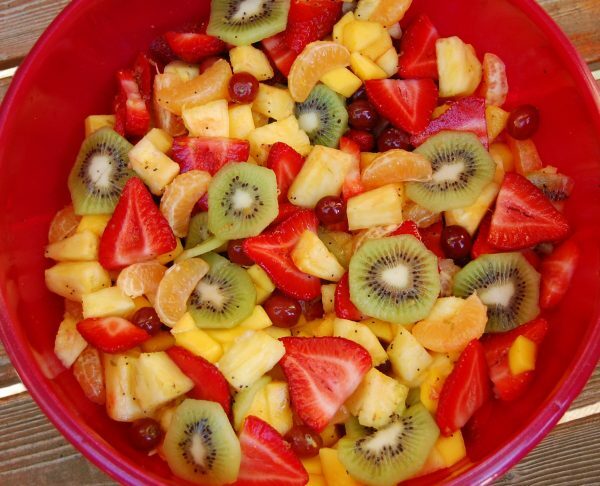 Add pineapple, mangos and grapes. Gently toss to combine. Cover and place in the refrigerator until ready to serve. 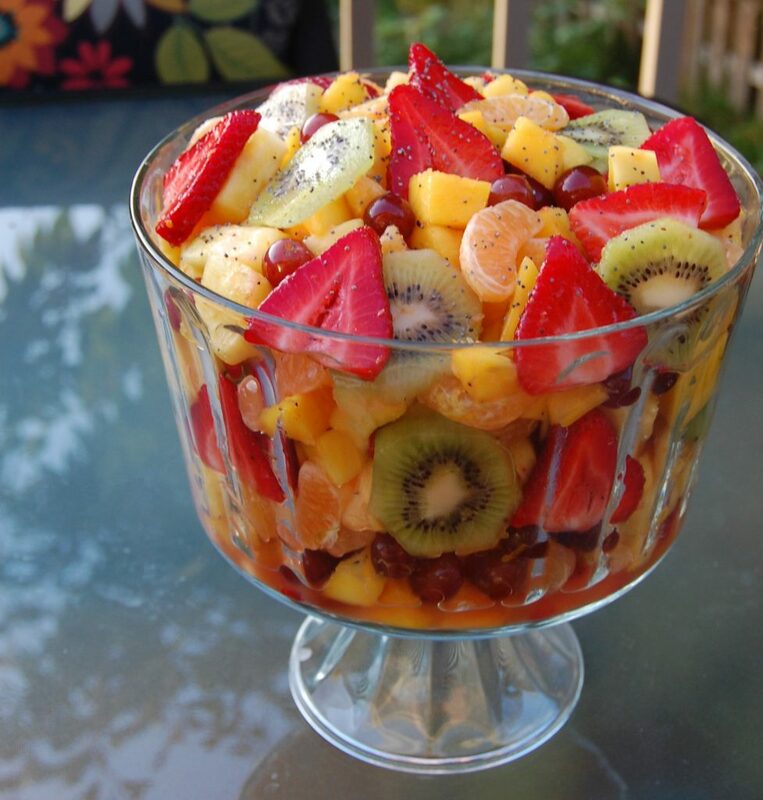 About 30 minutes before serving, pour dressing over the fruit salad; gently toss to coat.